When J.S. Came to me in early 2011, his parents were worried. Despite the fact that he had attended a classroom SAT course a few months earlier, his SAT scores were still far below where he needed them to be. 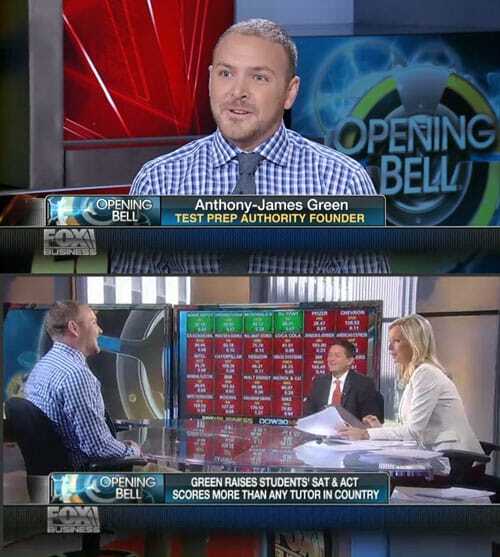 Most of his dream schools expected 2000+ SAT scores, and when he came to me, his most recent SAT score was a 1240. His parents explained to me that J.S. was a smart guy - he went to a demanding school, took mostly advanced level classes, and never got anything but As. But, for whatever reason, he just "wasn't a good tester." If there's one idea I can't stand, it's the idea of the "bad tester." There's no such thing as a "bad tester" - there are just people who study the right way, and people who don't. Unfortunately, J.S. had been subjected to a "one-size-fits-all" SAT classroom environment. I could go on and on about how terrible SAT classes are (and if you search my name in the press, I'm sure you'll find some instances), but for now, I'll just say this: because no one had addressed J.S.' unique set of skills and weaknesses, he had never come close to reaching the scores he should have. As soon as I met with J.S., I sat down with him and went through his most recent diagnostic test bit-by-bit. Within ten minutes, I knew exactly what was going on: J.S. was falling for every single trick that the SAT could possibly conjure up. Over the course of our first session, I discovered that his math, grammar, and reading skills were all fantastic - his approach to the SAT, however, needed serious work. These are, unfortunately, the things that a classroom can't uncover and can't teach. Next up, I discovered that J.S. had very serious ADHD. I'm someone who suffers from ADD, and only through intense time-management, meditation, exercise, and strategy have I been able to conquer it. The first thing I did was get J.S. more time. The College Board provides students with extra time when they have documented ADHD, which J.S. did. Immediately, I multiplied the time J.S. had to take his test by 1.5X. That makes a big difference, especially when it comes to strategy. During our first session, I gave J.S. a 10-minute strategic overview of each section section and how he should approach it. Just very basic, overall tips for how to conquer each section. Often, my students improve by roughly 100 points as soon as they get this overview - just a few strategic tweaks instantly improve their scores. Every time I worked with J.S., I'd isolate a specific weakness that he was having trouble with. For instance: during our first session, J.S. didn't know how to effectively plug numbers into equations in the Math section. A lot of tutors see something like this, give their students a few tips, and move on. My style is to obsess over a weakness until it's a strength. So J.S. and I put away the books and I started drilling him on plug in problems. Not 3, or 5, or 10, but about 50. By the time the session was done, I could tell he was on the verge of insanity. And that's how I knew I was doing my job. For homework, I gave him another 40 plug-in problems to solve, as well as an overall diagnostic with some strategy tips for his next session. Here's what's funny: J.S. took a full-length, timed, graded diagnostic test after our first session. He went from a 1240 to a 1450. In one session. Am I "that good?" As much as I'd like to think so, I'm not. I just know how to teach students strategy. Better yet: J.S. went from NOT knowing how to plugging in numbers to being AMAZING at plugging in numbers. So for our next session, I isolated a new weakness. And drove him crazy with it. Next session, same thing. In between our sessions, he was taking a full-length, timed, realistic diagnostic exam every two weeks. J.S. took his SAT in October of 2011. His final score: 2090. J.S. was smart, eager to learn, and able - he just didn't have the right set of tools, and he didn't have a guide who could show him how to use them. If you don't think your child is capable of fantastic SAT scores, rethink your assumptions. By figuring out exactly what YOUR CHILD needs, and developing a unique lesson plan that delivers it to him/her, I get consistently incredible results. I hope I have the chance to bring them to you!